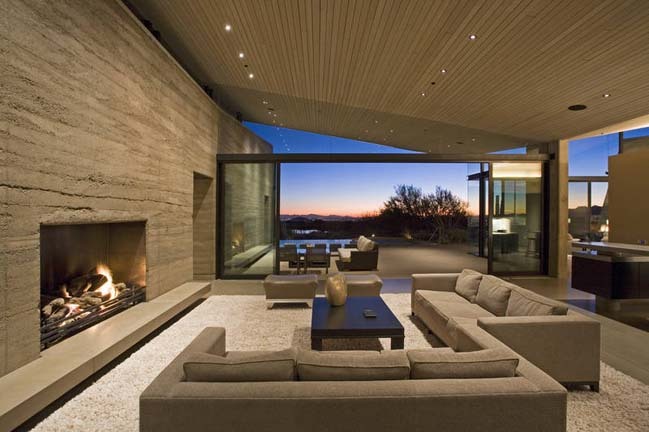 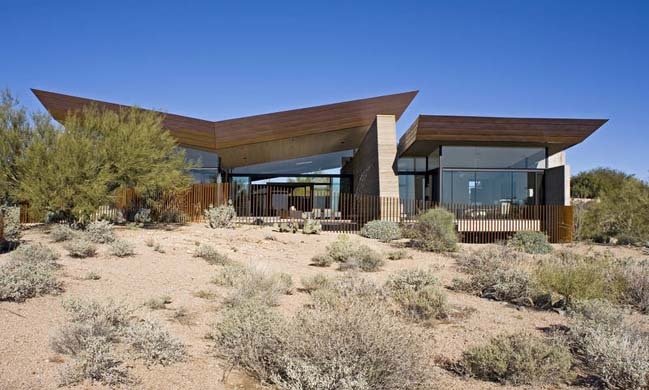 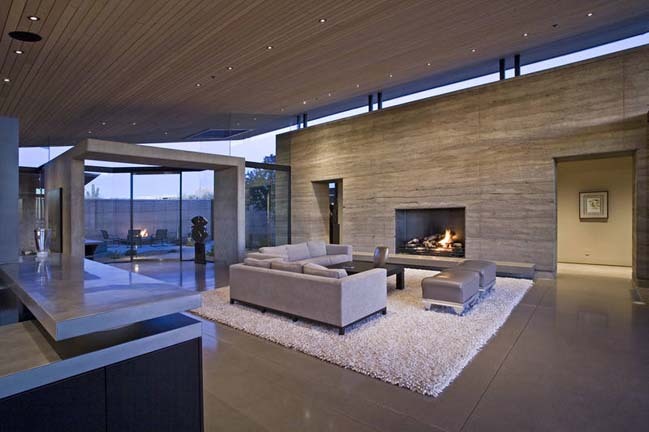 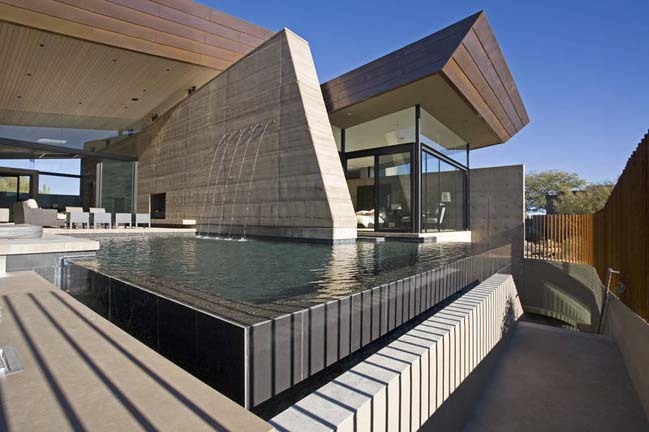 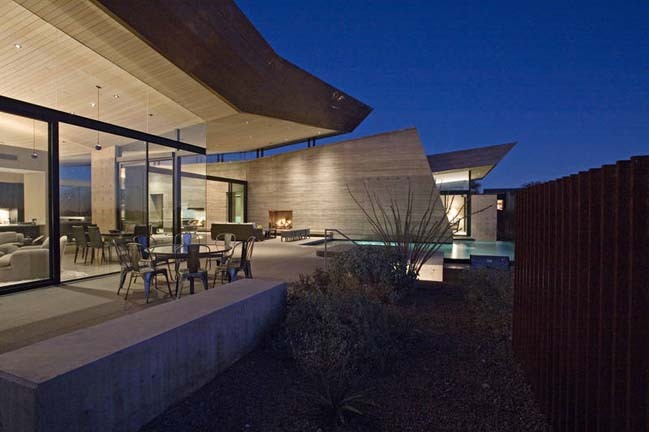 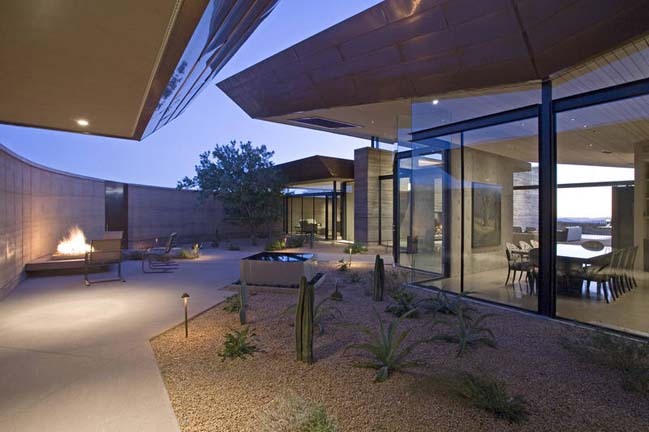 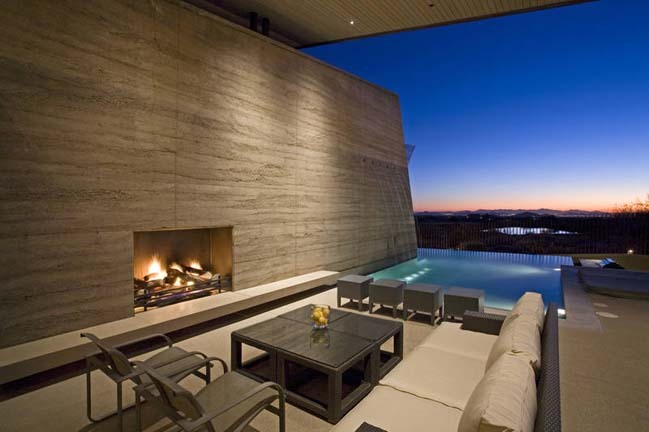 Beside an elegant contemporary design, this villa is also inspired by surrounding natural environtment to create a perfect house in middle of Arizona desert. 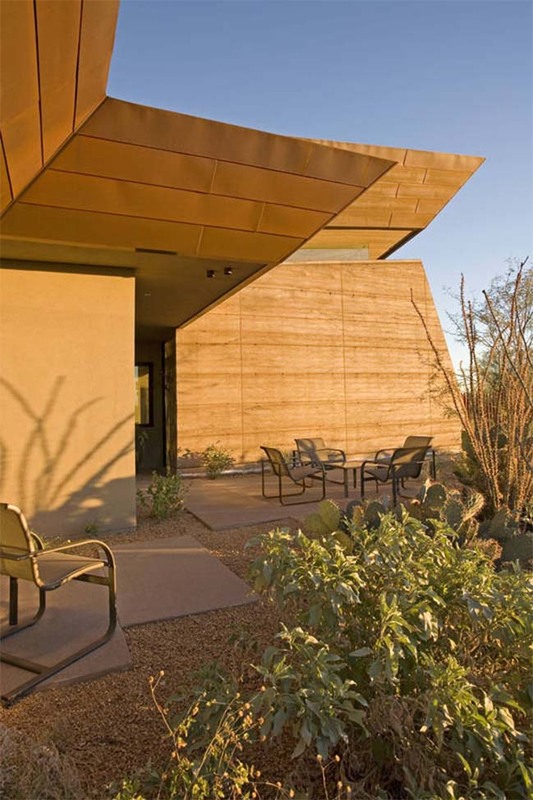 Follow the architects: Located on an acre plus site overlooking a golf course, the home is oriented toward the lake view. 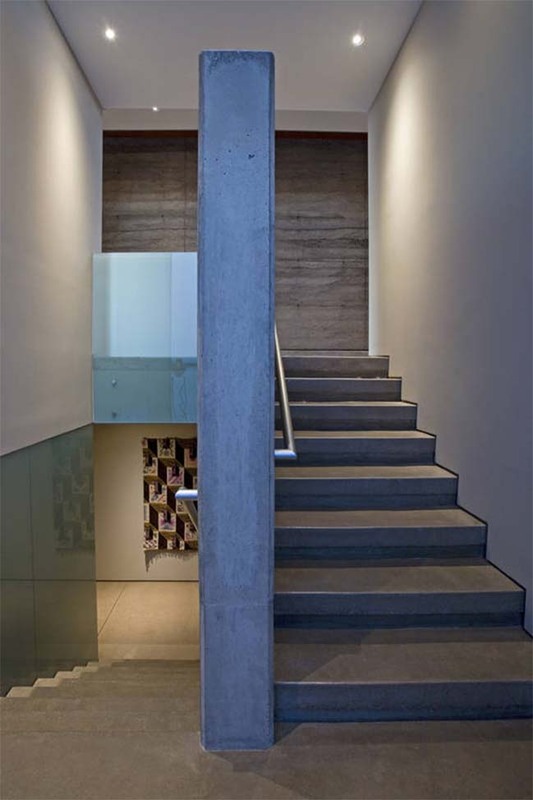 Careful attention is given to eliminate the view of adjacent homes from the interior of this house enhancing both the views out, as well as meeting the owners desire to have a “see-through home with a high level of privacy”. 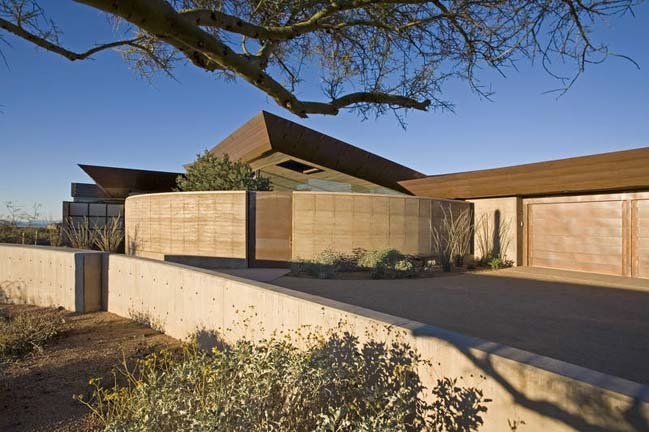 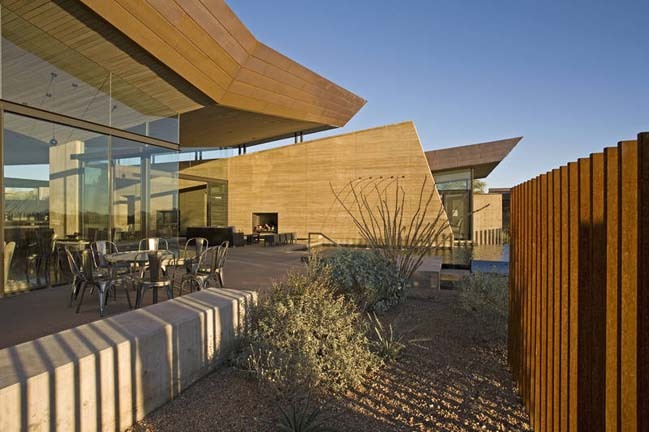 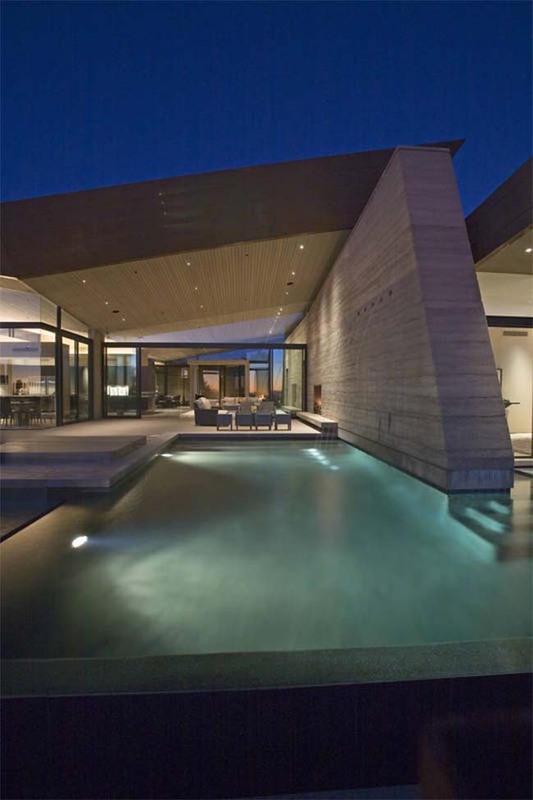 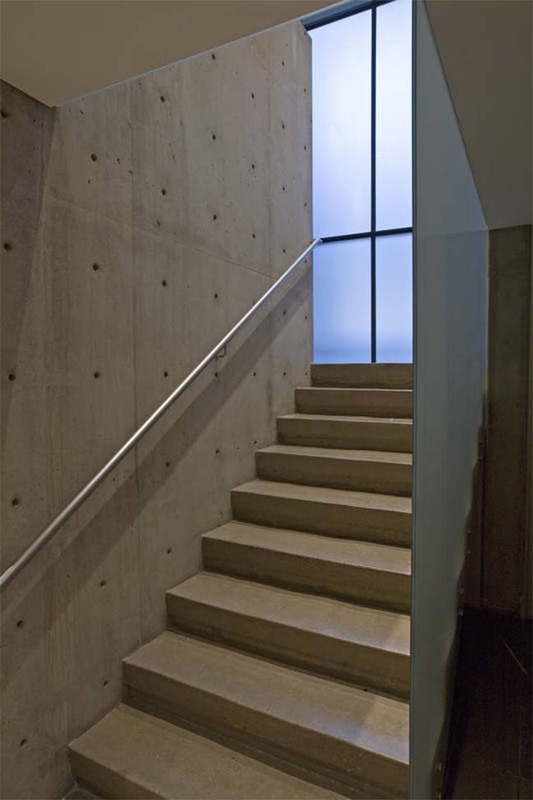 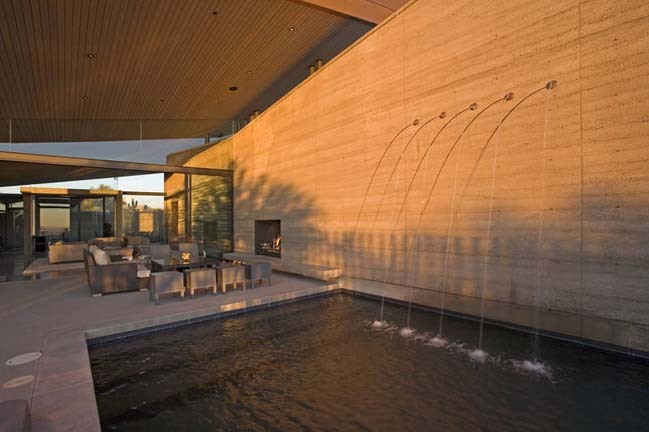 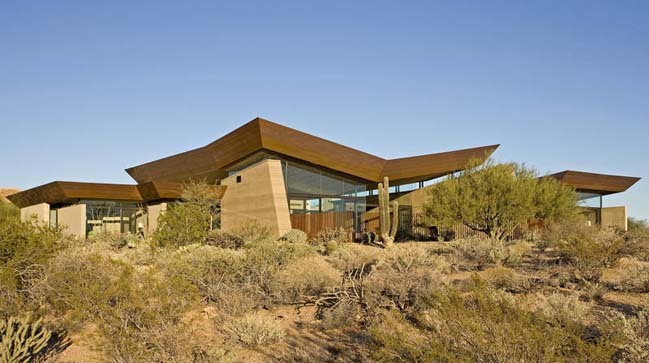 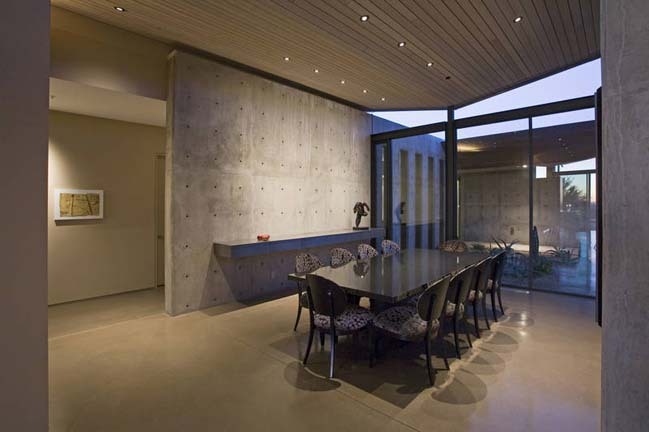 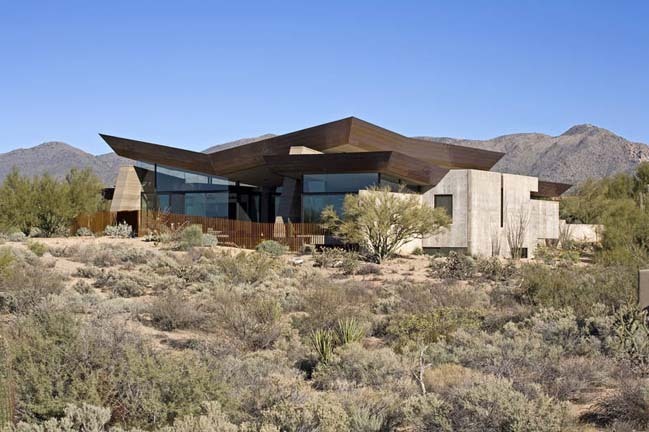 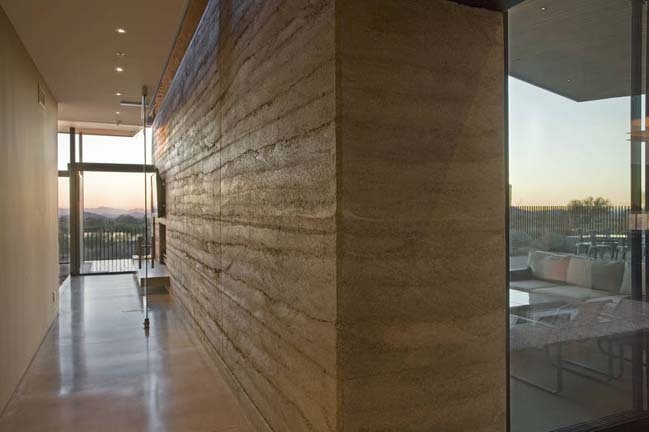 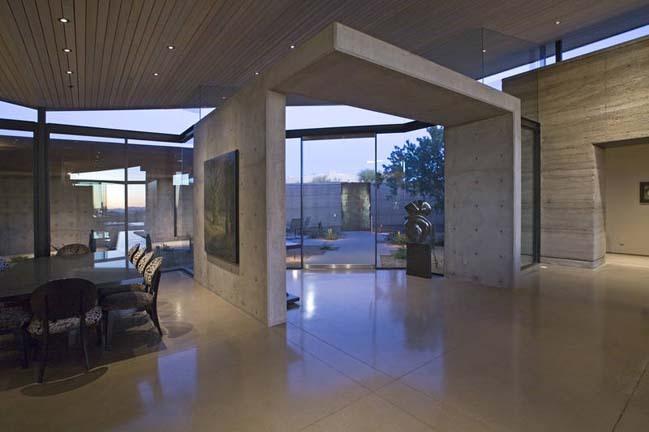 Features include rammed-earth walls, extensive use of glass for taking in views, operable windows to allow the house “to breathe”, and a soaring roof form, clad in copper, that appears to float above the home. 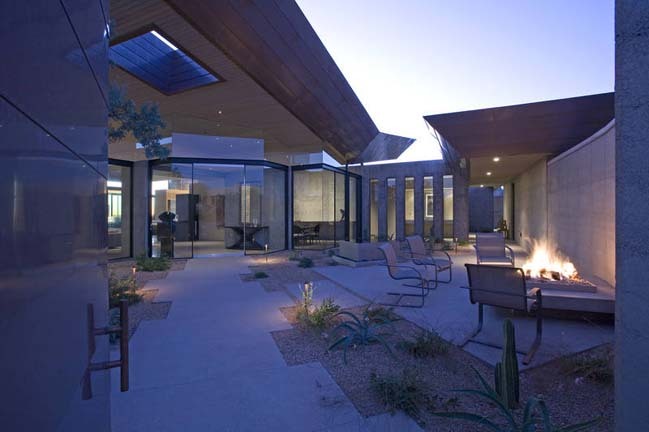 Landscape courtyards to the east provide both privacy and promote outdoor living.